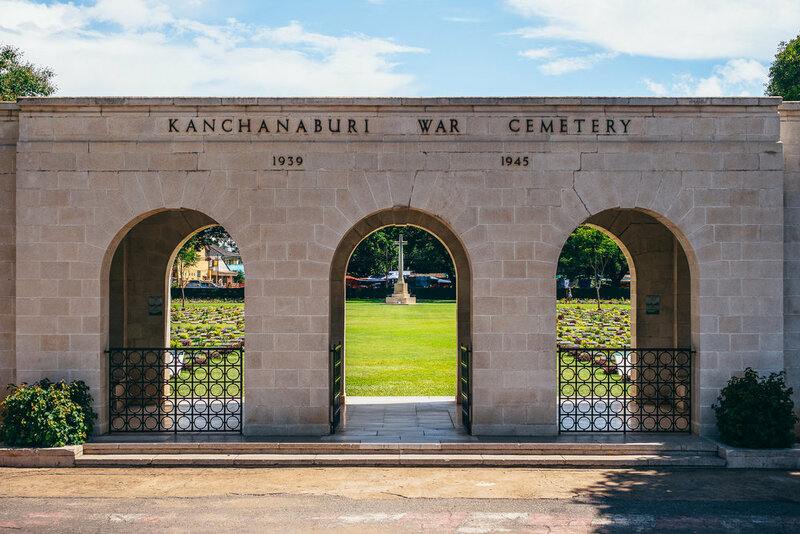 Kanchanaburi, Thailand, is most known for two reasons: the infamous Kanchanaburi War Cemetery and River Kwai Bridge (part of the Thailand-Burma Railway, or "Death Railway"), with all of the dreadful history that surrounds them and the magnificent national parks in close vicinity. Our short trip to this beautiful city included both of these. Rather than the usual article, we will be taking advantage of the fact that my camera is attached to my hip and I photograph just about everything. So, welcome to our first Photo Journey! The first part of this journey covers our trip from Bangkok to Kanchanaburi via a 3-hour train ride (which is one of the most authentic and engaging ways to reach the city), and our stops at the Kanchanaburi War Cemetery and River Kwai Bridge. The train ride, as you’ll soon see, was a rickety ride cooled solely by fans and the hot air that permeated the open windows. Fortunately, there was plenty of room on the bus, which was populated almost entirely by locals. The Cemetery, a mournful remnant of the deaths and suffering caused by World War II, contains close to 7,000 prisoners of war that died while constructing the River Kwai Bridge. The deaths came about due to the inhumane and deplorable conditions that the POWs were made to work under, including the accelerated completion of the 250-mile railway line in a little over a year. 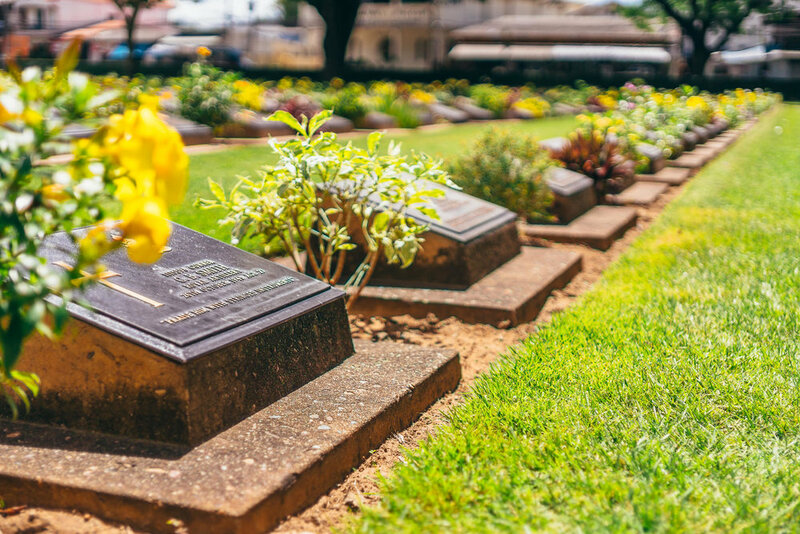 While the River Kwai Bridge is a heavily-visited tourist attraction, we highly recommend the relatively empty Cemetery and the adjacent War Museum for a much more insightful view into the history behind these sites. Hopefully our photographs capture the reverence of these sites accurately. This 2.5-hour train ride may not be the most comfortable, but it's definitely a unique experience! His expression matches the heat outside. This museum is an integral part of the entire experience in Kanchanaburi, recounting the story of the POWs during the construction of the Thailand-Burma Railway in unique and immersive ways. Kanchanaburi War Cemetery, a burial site for almost 7,000 POWs (mostly Australians, the British, and Dutch). River Kwai Bridge is a small portion of the Thailand-Burma Railway, which was collectively built by hundreds of thousands of POWs and Asian slave workers in 1942. Expect to find an overwhelming amount of tourists at the Bridge. A monk overlooking the Bridge. All of these photos were taken with the Sony a6500 and in this case, the Touit 32mm and the Touit 12mm lenses.